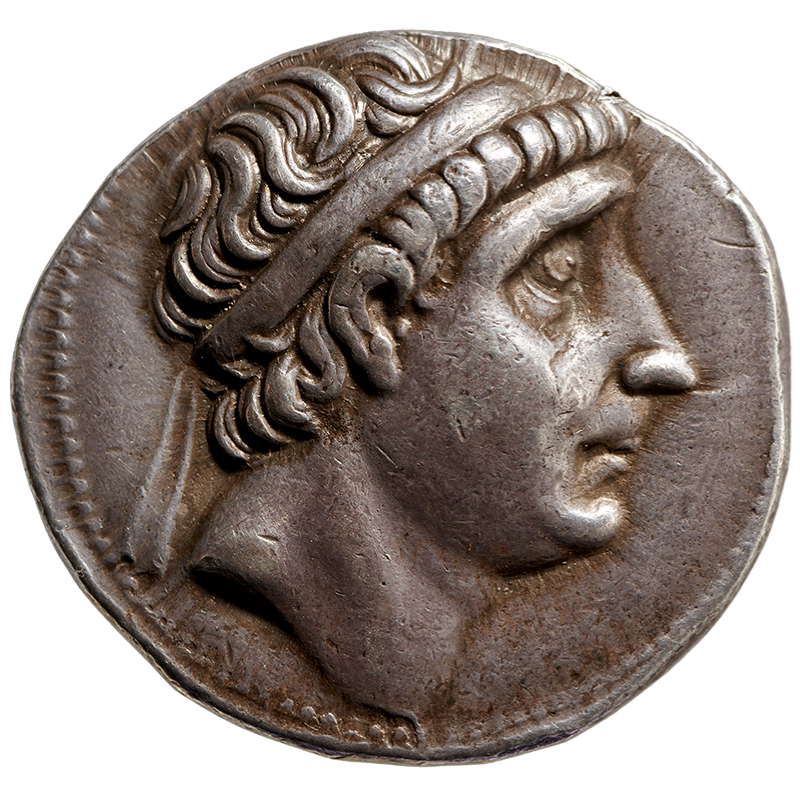 Antiochus I 'Soter' was a king of the Hellenistic Seleucid Empire. He succeeded his father Seleucus I Nicator in 281 BC and reigned until his death in 261 BC. Antiochus I was half Persian, his mother Apama, daughter of Spitamenes, being one of the eastern princesses whom Alexander the Great had given as wives to his generals in 324 BC. In 294 BC, Antiochus married his stepmother, Stratonice, daughter of Demetrius Poliorcetes. His elderly father reportedly instigated the marriage after discovering that his son was in danger of dying of love sickness. Around 262 BC Antiochus tried to break the growing power of Pergamum by force of arms, but suffered defeat near Sardis and died soon afterwards.